The Nonsense Collective are a creative group of artists currently studying at AUB. 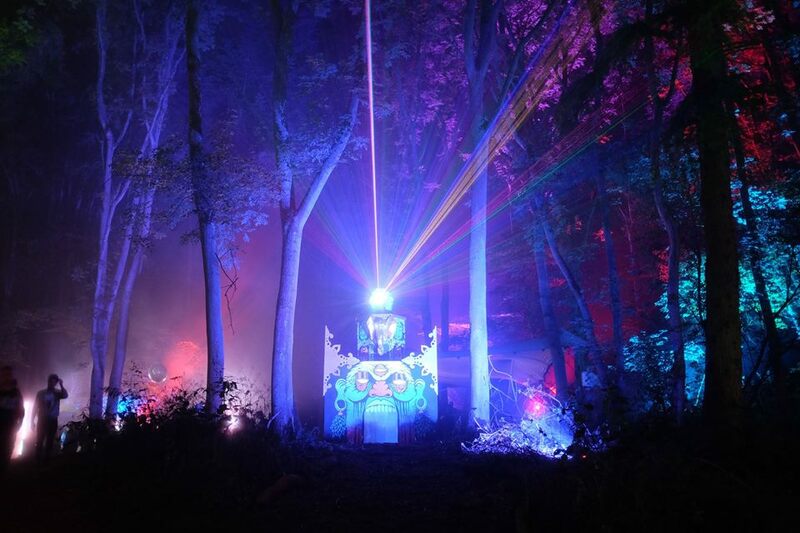 They work with large scale installations and events design with the aim of creating fun, interactive and thought provoking projects to engage and entertain audiences of all ages. 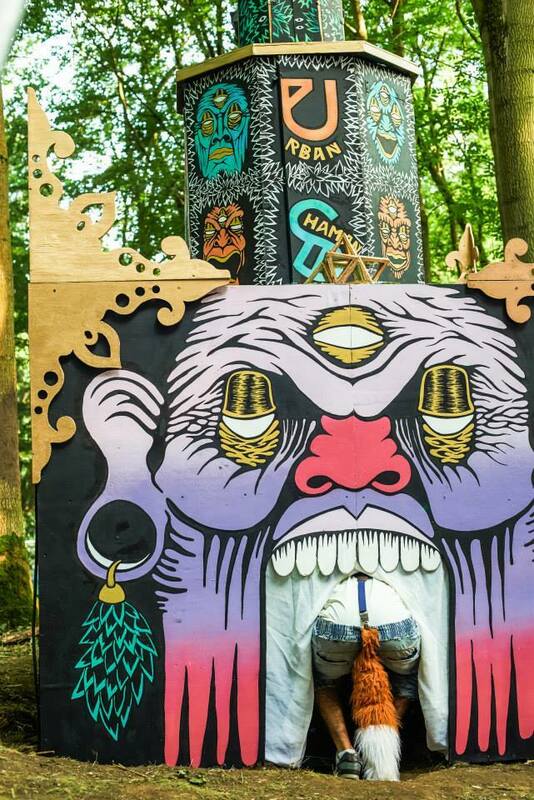 Their creations so far include an 8ft high sofa and a giant kaleidoscope (featured on the right) which have toured festivals such as Gottwood, Boomtown, Secret Garden Party and Shambala. 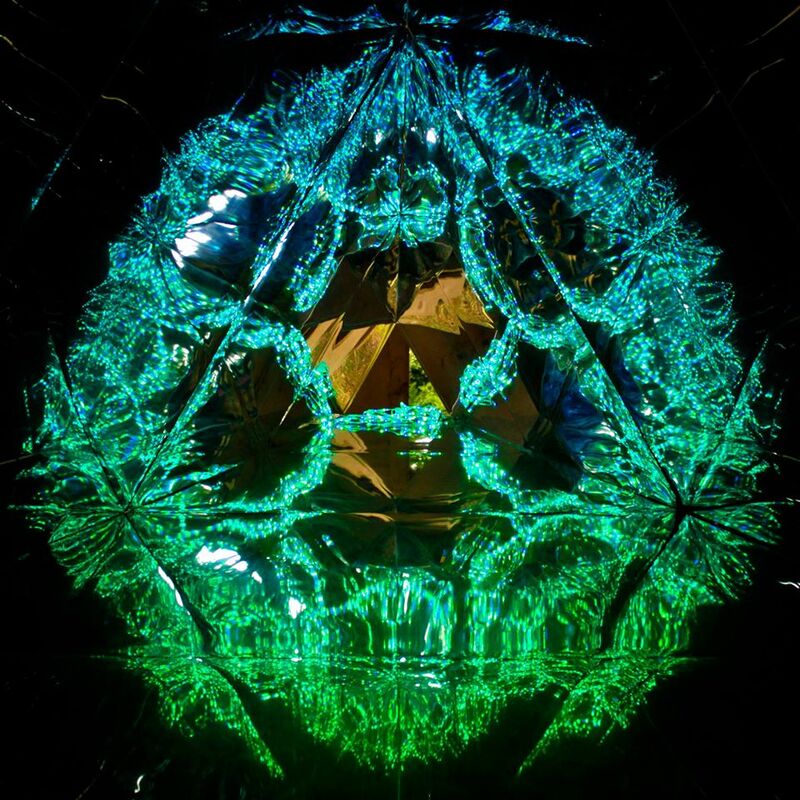 Urban Shaman are a multidisciplinary collective of artists who create large-scale installations and fully immersive events. Based between the Arts University Bournemouth, Brighton and London they can usually be found spreading magic and mischief around the summer festival season in the UK and further afield. 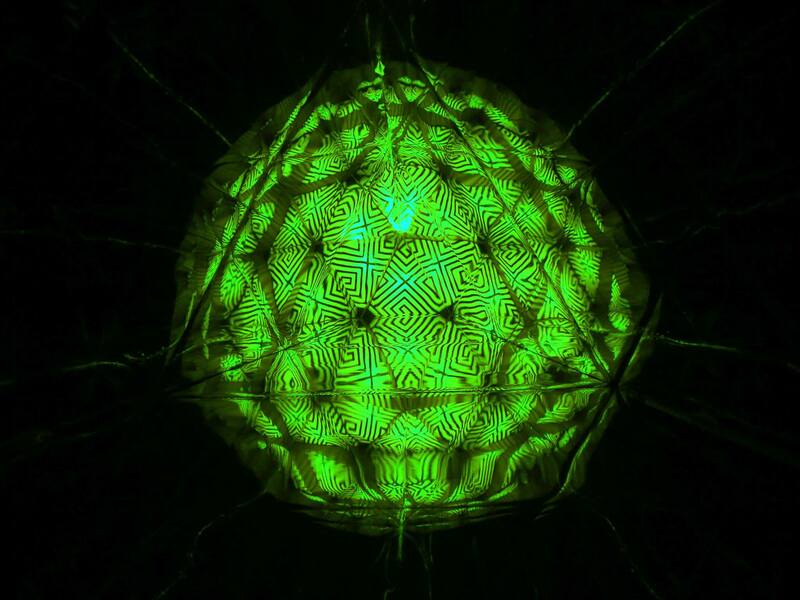 ‘Totem’ is their touring installation for summer 2014, featuring at Gottwood, Noisily and Shambala festivals. 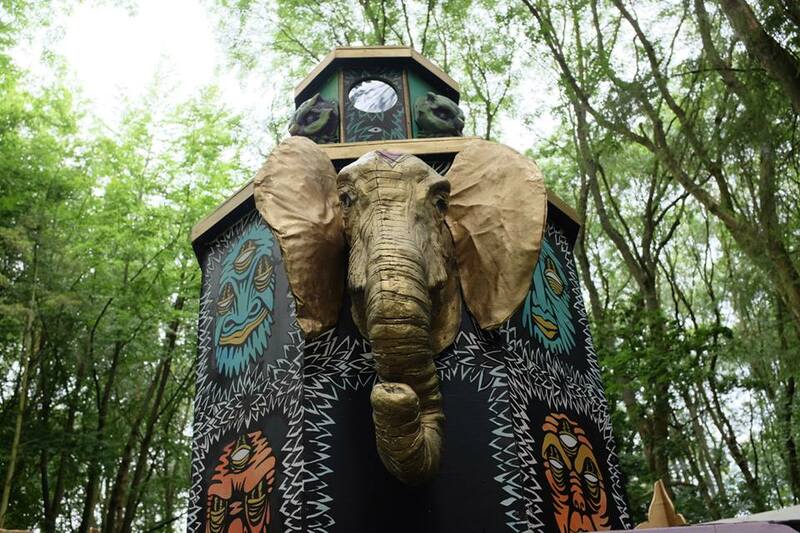 Both a landmark and hiding place, Totem engages visual and audio senses; capturing imaginations with its psychedelic tower of lasers and swallowing up festival goers through its richly illustrated faces.